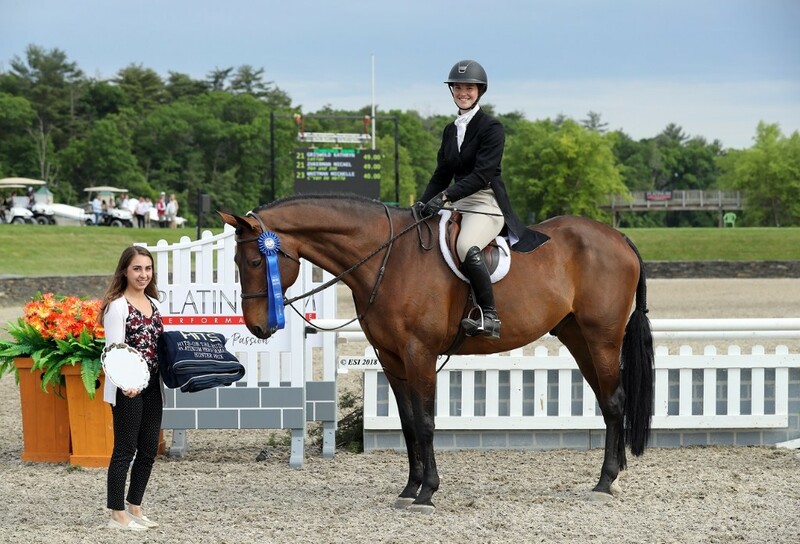 HITS » Spring Show Jumping at HITS-on-the-Hudson is a Wrap! 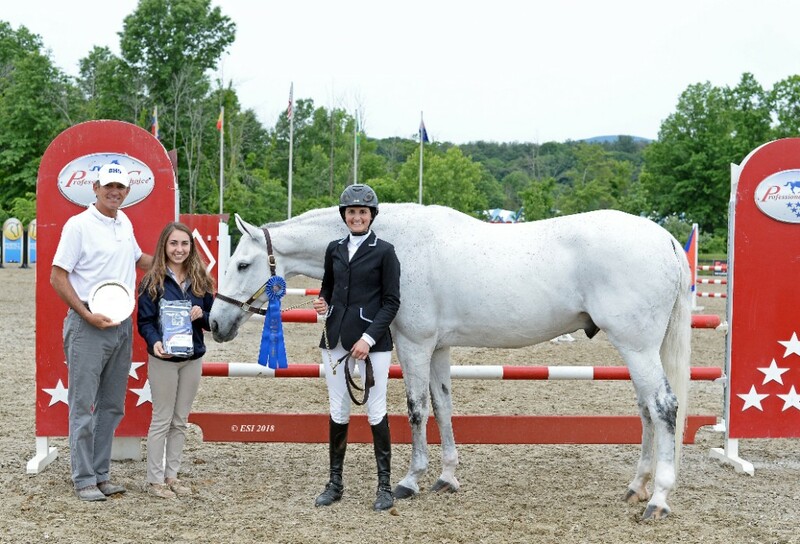 Another successful week of show jumping competition wrapped up at HITS-on-the-Hudson III, closing out the Saugerties Spring Series with a bang. Exhibitors enjoyed a week of sunshine, blue ribbons, and over $200,000 in Prize Money awarded throughout the week. Featured events in the Grand Prix Stadium kicked off on Wednesday with the $5,000 Johnson Horse Transportation Open Welcome, where Laura Chapot took home both first and second place. 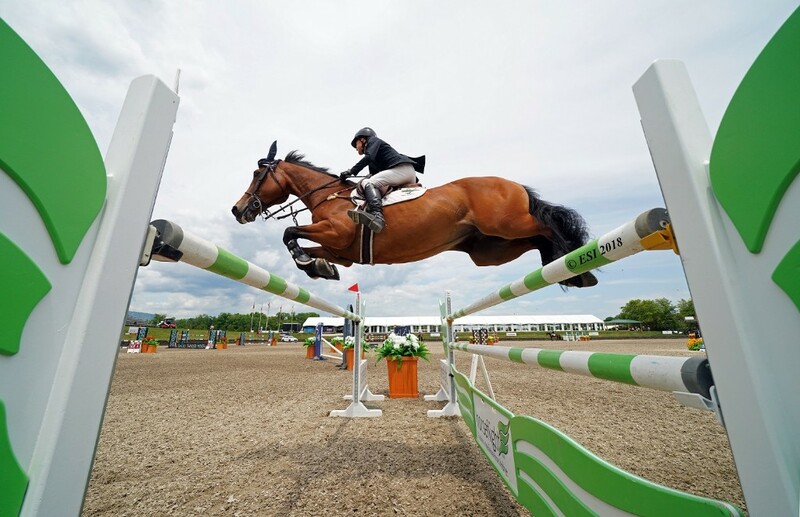 With respective finishes aboard ZEALOUS and SHOOTING STAR, Chapot finished first in a time of 37.988 and second in a four-fault time of 37.420. Claiming the third place ribbon was Cassandra Kahle aboard PYRENES DE LOUZES in a four-fault time of 39.634. Kahle would also take home the fifth place ribbon aboard EPEIOS. Riding home with a fourth place finish was Agatha D’Ambra and her partner CA VA BIEN. 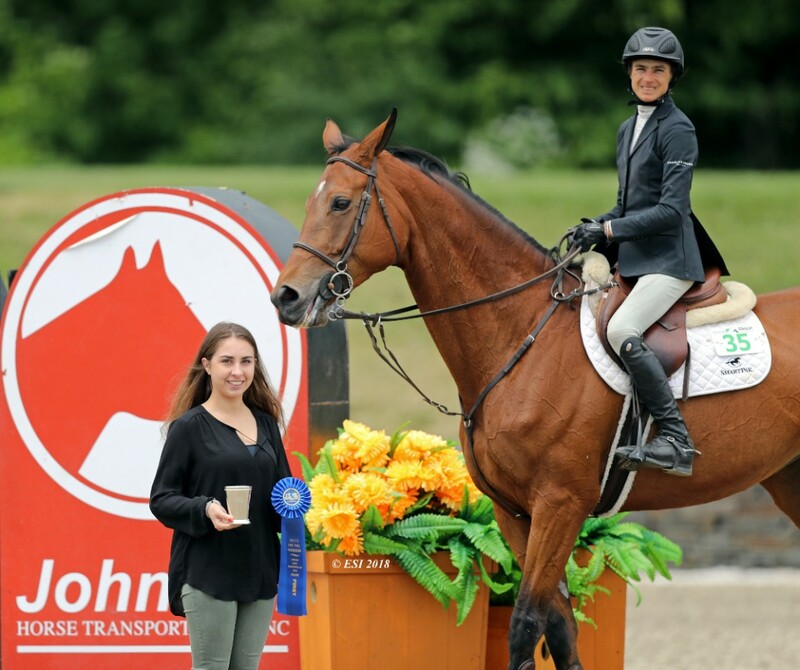 Thursday afternoon welcomed riders back to the Grand Prix Stadium for the $10,000 KindredBio Jumper Classic where Chapot took home the blue ribbon once again, this time with OUT OF IRELAND in a time of 36.558. Chapot returned to the Winner’s Circle to pick up the second and fourth place ribbons aboard CYBEL II and CALAFORNIA, respectively, in time of 37.193 and 38.525. Brian Feigus took home the third place ribbon in a time of 37.965 aboard CATOKI. Kahle and EPEIOS would round out the top five in a time of 40.516. 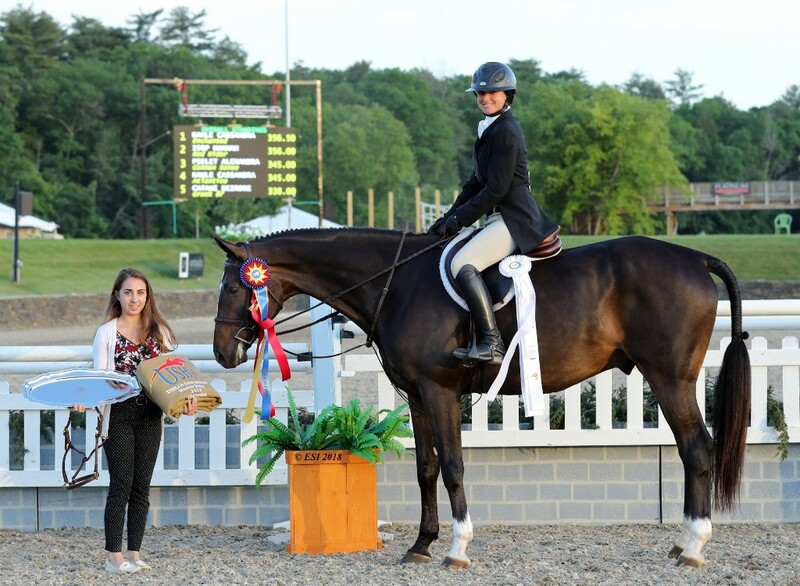 Riders that compete in the KindredBio Jumper Classic earn points towards the KindredBio Leading Rider Award. Chapot continued her winning streak aboard CYBEL II in the $25,000 SmartPak Grand Prix on Friday, jumping off in a time of 38.765, followed by her ride on ISHD DUAL STAR in a time on 39.362. Seth Vallhonrat and CLARIMA rode away with the yellow ribbon in a time of 42.163, followed by Heather Caristo-Williams and QUI VIVE DES SONGES Z in a time of 44.476. Lauren Fischer and ROYAL DE LICQUES captured the fifth place ribbon in a four-fault time of 38.687. Less than one second separated the Top five placings in the $10,000 Saugerties Steamboat Co. Jumper Classic. Jenny Kocher and MISS MONEYPENNY found the Winner’s Circle to pick up the blue ribbon, finishing with a jump-off time of 36.269. Kocher also took home the fifth place ribbon on her ride aboard CARLOS in a time of 37.041. Chapot took home second and third place honors in the Classic aboard OUT OF IRELAND and ZEALOUS in times of 36.447 and 36.591. Feigus and CATOKI pick up another Top Five finish, taking home fourth place in a time of 37.007. Katharine Stento and BIXBY WAY won the $1,000 Professional’s Choice M&S Children's/Adult Jumper Classic Low in a time of 21.43. Claudia Citrin and DON JUAN claim top honors in the $2,500 Milea Auto Group M&S/NAL Children's Jumper Classic in a time of 39.523. Top honors were won by Joy Slater and Oilean Uno in the $2,500 M&S/NAL Adult Jumper Classic, topping the field with a blazing fast time. Taking home the win in the $2,500 Pyranha Jr/A-O/Am 1.20m Jumper Classic was Elizabeth Kirby and BALOTAN in a time of 35.290. Winning the $5,000 Summit Joint Performance NAL Jr/A-O/Am 1.30m Jumper Classic was Abigail Stark and WANTED in a time of 36.879. Arabel McFarland and ELEKTRO captured top honors in the $7,500 Horseflight Jr/A-O/Am 1.45m Jumper Classic, riding home with the only clear round in the class. The stakes increased Sunday with the $50,000 Purina Animal Nutrition Grand Prix, where only five would make it back to the jump off. More than a second faster than the closest contender and taking home top honors was David Raposa aboard S & L SAGE crossing the timers in 38.885. 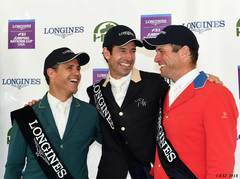 Following Raposa were last week’s Champions, Alberto Michan and REDMOND who took the red ribbon in a time 40.120. Chapot would win both the third and fifth place ribbons aboard THORNHILL KATE and ISHD DUAL STAR in respective times of 40.125, and a four-fault time of 40.203. Taking home the fourth place ribbon was Fischer and her partner ROYAL DE LICQUES in a time of 44.352. 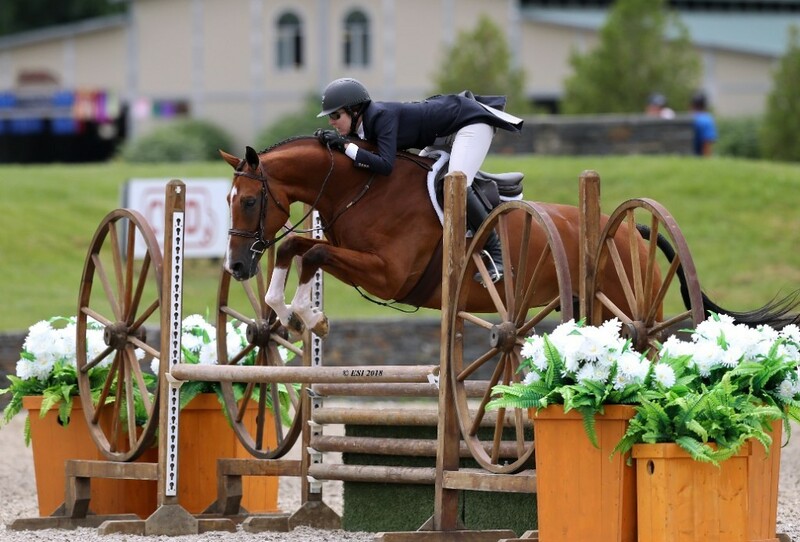 Two USHJA Derbies were featured in the Grand Prix Stadium this week, with the $25,000 USHJA International Hunter Derby and the $2,500 USHJA National Hunter Derby. 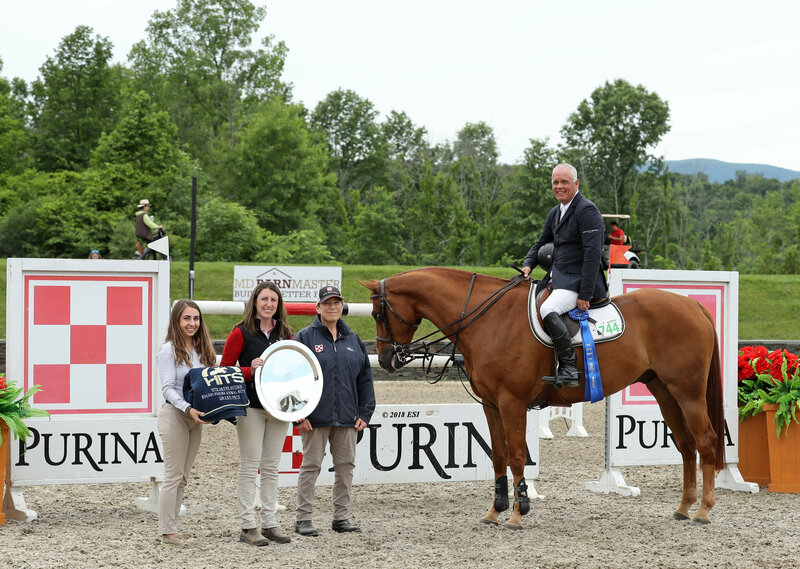 The Platinum Performance Hunter Prix was held as an overlay with the National Hunter Derby for the Junior and Amateur riders who are working toward qualify towards the HITS Championship. Topping the field in the $25,000 USHJA International Hunter Derby was Kahle and her partner ENCHANTED, earning an overall score of 356.5. Kahle earned a base score of 156 in the first round plus 8 high option point for a total of 167 which put her in third place. In the second round Kahle earned a base score of 167.5, but increased her scored by choosing the high options and earning handy points to receive a total score of 189.5. Hannah Isop and RED RYDER, received the highest score in Round One, and captured the second place award overall. Isop scored a base score of 168.5 in round one, and adding in the points received from high options would boost her score to a 176.5. A base score of 160.5 would be awarded in the second round, plus high options and handy points for a total of 179.5 and an overall score of 356, just one half of a point behind Kahle. Rounding out the top three would be Alexandra Pielet and COMMON SENSE, receiving a score of 163 in the first round and a base score of 168 in the second round, Pielet chose not to take the high options, but did earn handy point to increase her second round score to 182 for an overall score of 345. 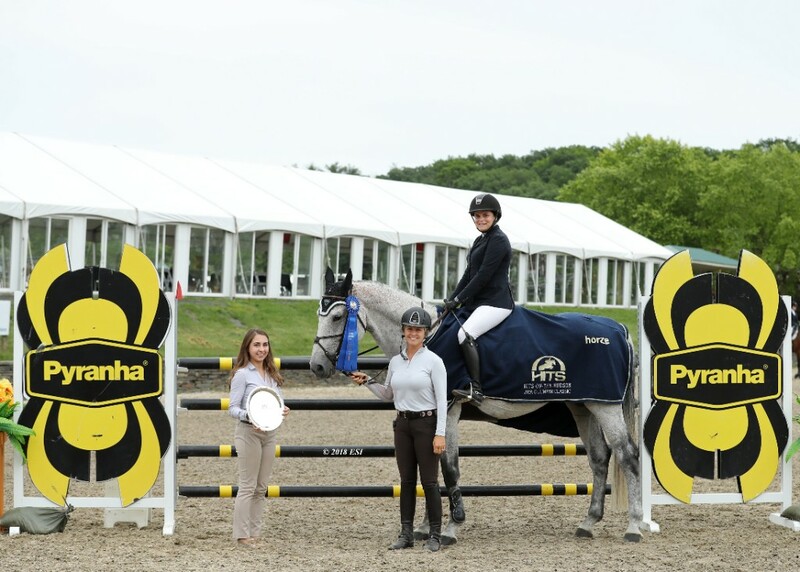 Patricia Griffith and SONDER would top a field of 41 horses in the $2,500 USHJA National Hunter Derby scoring a 90 in the first round and a 95 in the second round for an overall score of 185. Second place honors were awarded to David Wilbur aboard SERFINO with a two round total of 184 with scores of 90 and 94 between his two rounds. Rounding out the top three was Raposa and IVY TOO with scores of 87 in each of his rounds adding up to an overall score of 174. Topping the field of Platinum Performance riders was Emily Noble aboard DOLCE AND GABBANA with scores of 76 and 84, combined to give her an overall score of 160. Following in second with an overall score of 154.5 was Lena Rae Reeb and CALL ME scoring a 75.5 in Round One and a 79 in Round Two. Rounding out the top three of the Junior and Amateur riders was Dylan Bentley aboard FOCTO with scores of 735 and 79 for a 152.5 combined score. 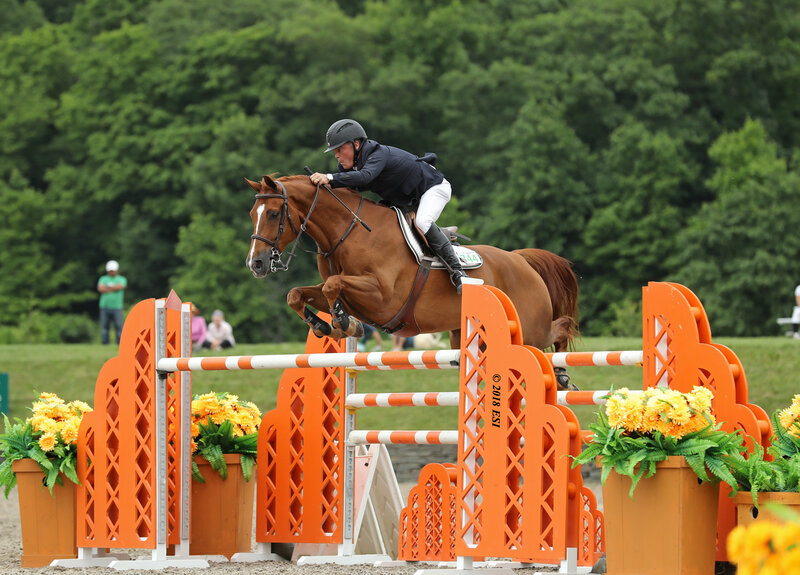 Show jumping competition returns to HITS-on-the-Hudson on July 18 for three more weeks of featured events, including two more USHJA International Hunter Derbies, the USEF Junior Hunter National Championships, and Children’s Hunter Pony Finals. Don’t forget that entries must be postmarked no later than June 27! For more information or to view the full HITS Saugerties Prize List, visit HitsShows.com.